This post might be controversial. But I assure you, I welcome debate, so feel free to challenge what I say here. Prophecy...Like the World Has Never Seen! The Antichrist will arise out of a European empire composed of ten kings. He will subdue three of these kings in his rise to power. Ultimately, he will confirm a covenant with Israel for 7 years. Halfway into his seven year treaty with Israel, he will claim to be God in the temple in Jerusalem. This moment where he sets himself up as if he is God, is itself, the final and most important sign of Christ's return. (More on why I believe this HERE). Since a 7 year treaty between a European leader and Israel has been widely anticipated by theologians...it was a pretty big deal. This was the first 7 year treaty with Israel in history! And it came on the heels of a ten nation alliance in Europe as well. Surely, this was too unlikely to be completely meaningless. The 10 nation alliance may have consolidated their alliance, with possible prophetic implications. But the 7-year deal with Israel came and went. The Hebrew is clear that the Antichrist will bring an end to sacrifice and offering in the middle of the seven (the word for middle is usually translated "half" in other verses). Furthermore, Daniel 9:24 makes clear that Jesus must be King of the world and an end to sin in Israel by the termination of this period of 7. Sadly the ENPI came and went....it was very discouraging. The EU now makes 7 year covenants with Israel on a cyclical basis. The first was in 2007-2013, called the ENPI. Therefore, we are coming up on another one in 2014-2020, called the ENI. This treaty is the means by which the EU provides bilateral aid to countries (including Israel!) in exchange for progress towards the goals the EU has for it . It's pretty clever actually. It's basically a form of bribery. The first ENPI came and went. Much to my (and many others!) disappointment. Still feel it to this day. (Even though God has blessed me in the meantime). Now, the EU just recently performed a funding ban on Judea and Samaria, that made a lot of big news. Under this new rule, on any future contracts that Israel has with the EU, they must admit that West Bank and East Jerusalem are not part of Israel. Obviously, no Israeli leader can sign this. And it could very seriously harm economic ties between the two. As my friend Nick said, "these 7 year covenants are getting annoying." So basically, the second round of the European Neighborhood Policy (2014-2020) IS a covenant with Israel and many nations for 7 years. But we already had one of those, and it didn't pan out (very frustrating). So how are we supposed to know when the real one hits?!?!??!?!? After all, it's the only explicit end time countdown prophecy in the Bible. Many theologians anticipated that the Antichrist would make a "peace treaty" between Israel and her neighbors for seven years. They suggested that the terms of this arrangement would allow Israel to resume sacrifices and rebuild the temple. According to their interpretation, the Antichrist would break his peace treaty with Israel halfway into the 7 year covenant, and idolize himself in the temple. As we ENP watchers wisely noted, their are lots and lots of assumptions in this interpretation. Daniel 9:27 never mentions a peace treaty. Nor does it say that the Antichrist guarantees resumed temple worship. Daniel 9:27 doesn't even say what the covenant is. It only says that it is declared to be 7 years in length. Daniel 9:27 does not say the contents of the covenant. However, the cross-references might have something to say about one aspect of the covenant. I think this is where the theologians got their ideas in the past. Zechariah 11 talks about a Good Shepherd (Jesus) of Israel, and a "worthless shepherd" who "deserts the flock." This worthless shepherd is also wounded by the sword in the eye and the arm. (This reminds us of the mortal wound the beast receives from the sword). Most end time theologians believe that the "worthless shepherd" is the Antichrist. However, being a shepherd implies being responsible for the care of something or someone. Furthermore, it says he deserts the flock. This might imply he was supposed to watch out for them, but abandons them instead. This shows theme that the Antichrist was supposed to protect Israel, but he abandons them. Isaiah 28 talks about a "covenant with death" that Israel makes. The passage strongly implies that this covenant is as worthless as trusting in lies. The passage seems to imply that Israel depends on this covenant for protection from an "overwhelming scourge." This seems to be a reference to armies. It also uses water and flood language, which is often used of end time armies. (Revelation 12) Here too, the theme of protection is found. Because of this treaty, they think they will be safe. But it turns out to be a worthless covenant. Furthermore, Ezekiel 38/39 talks about a time when Israel is very unsuspecting and dwelling in safety, prior to a major invasion. This temporary safety could be the result of the Antichrist's treaty. All of these implies that Israel relies on the Antichrist for security, or military protection, in some way. But instead, the Antichrist seems to go back on that covenant. So how do we know which ENP covenant is the one? Perhaps the ENP is the framework by which the Antichrist will make his seven year treaty with Israel. EU has already started using this 7-year framework to impose a funding ban on the settlements in Israel. What is more, the EU threatened more sanctions on Israel if they did not have successful peace talks with the Palestinians. The EU High Representative has already set in motion a plan to label all Israeli settlement products by end of 2013. They also promised stronger economic ties to both the PA and Israel if they succeed. The Hebrew word for "confirm" or "firm" covenant in reference to Daniel 9:27 is a strong word. It means to cause to prevail, to make strong. This could mean the Antichrist forcefully imposes his border arrangements on Israel and Palestinians, in exchange for Israel's security. As we can see now, the EU is getting more forceful about the two state solution. Maybe the "security" component of the treaty was what was lacking the original ENPI. Here is another speculative scenario. As we know, the peace talks between the Israelis and the Palestinians are going to probably begin next week. Israel has said it is ready to make very large territorial concessions. Furthermore, the EU is already forcefully trying to encourage a deal. They did this with their 7 year funding ban on the settlements. Some commentators say that this funding ban helped Israel get back to negotiations. What a perfect time to start peace talks....RIGHT BEFORE another 7 year deal with Israel begins? The EU foreign ministers want a breakthrough, and want to make a significant contribution to the negotiations. As we know, the Antichrist starts off as a little horn, then grows to be bigger than them all. Perhaps one of these foreign ministers gets involved, and helps broker a deal. Then, he grows in influence over time. I can't imagine the EU will be very happy when the Israeli referendum on the peace agreement reached at the negotiations fails. The new ENPI is a conformation of the first one and it is a stronger version and the new ENP states that it is stronger, Its like an extension of the original ENPI, Heaps of people thought the Barcelona process was the first covenant and the ENPI was a covenant that was the strengthening of the Barcelona process. But i think the ENP was the first one and the NEW ENPI is the strengthened one. But we will just have to wait and see I suppose since there is still 5 months left of the original ENP. I can imagine their frustration! Just in the past week they have massively ramped up their sanctions and/or threats of them in. If Israelis (the many) were to reject a referendum, the EU would start forcing their hand. Just this week, Israel is striking back, and blocking officials from going into the Palestinian areas. Considering their behavior this week, we can only expect further anger from the EU. 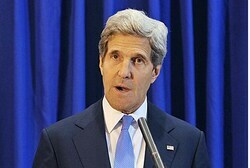 The EU is setting itself up as the enforcer of peace, while Kerry seems to be the one who will do the negotiations. All very interesting. Hopefully the coming days shall reveal more conclusive information. Very interesting thoughts. I agree that this ENI (2014-2020) is a stronger confirmation of the ENPI (I.e. it has more funding). It could very well become the covenant with many. But my concern is how do we differentiate them. I agree lots of people thought Barcelona was the covenant. I personally thought it was the ENP itself (launched in 2004), but funded based on the ENPI, which confirmed it. Thanks for the link I I will look over it. It looks like there is very valid info in there. I am very hopeful, yet a bit skeptical as well, that this one is "the one." I just don't want us to get burned again. However, I'm very hopeful about this ENI program and am anxiously waiting to see what the next 5 months will bring. What is your personal opinion? Do you think the "covenant with many" requires a security/protection component for Israel? I think Israel will be just like any other country in the ENP without any special arrangements regarding security due to all the countries will probably share the same security but there will be conditions with Isreal regarding the Temple mount, Palestine and other areas. What i have read lately is the EU trying to use their muscle to take those places away from Israel as a state and give them to other countries like Palestine. I think Israel will be pushed into a corner but diplomatically and not with force by the EU. It is the other countries like Russia, Iran and so on that will be attacking Israel if any. The EU i can see saving it from those countries due to the security in the ENP. Maybe when and if that happens the EU Set up a major presence in Iraq (Babylon). Here is a link from a few years ago regarding the UN doing that.ANd we know it usually takes years for a big move like that to happen. And by the sounds of the Syria situation where we have Iran, Lebanon, Russia and a few other countries wanting to back the Syrian government and the other side USA, EU, Israel wanting to back the rebels i can see a major war happening probably in the near future. But i suppose we will have to wait and see. Yep - I'm most carefully watching for the fall of Damascus and a slide of Turkey away from its alliance with the west via NATO to continue. If that happens - Ezekiel 38 is imminent. I don't think Ezekiel 38 can be fulfilled without Turkey - and the text suggests that is it Turkey - not Iran or Russia who lead the attack on Israel. Do I think there is a security component to the 7 year treaty - I can't point to any verse that says that. I do know the AC will wind up in Jerusalem - so I wouldn't be at all surprised if there were some "special provision" about East Jerusalem (the real old city of Jerusalem as Pastor Brian pointed out) that draws EU forces into the city to make it some sort of international city - which has been talked about before. I don't know that the Israelis will go for internationalizing Jerusalem to it would have to be forced on them by what I'm not sure yet. Also watching carefully the behavior of the Ethiopians as it pertains to the Nile. I wouldn't at all be surprised if Isaiah 19 isn't another marker we should be watching for as well since I don't see any evidence it was ever fulfilled in antiquity. Everyone says the Antichrist will "sign" a covenant with Israel.. the Bible does NOT say that .... it says he will "confirm" the covenant... that means to me, that he will confirm a covenant that is already in the making.. could Pres. Donald Trump get a peace treaty with Israel signed and then the Antichrist confirm it when he comes into play? Very good thoughts indeed! Yeah the word there is difficult to translate in the hebrew. I guess it has the sense of causing something to prevail. But I agree. With the EU's 7 year budget up for negotations, and an existing 7 year contract with Israel, they could easily use some kind of Donald Trump negotiated peace settlement and enforce it. Thanks for your comment and blessings to you!